by Süskind, Patrick, Woods, John E.
Süskind, Patrick, Woods, John E.
In the slums of 18th-century Paris a baby is born and abandoned, passed over to monks as a charity case. But the monks can find no one to care for the child-he is too demanding, and he doesn't smell the way a baby should smell. In fact, he has no scent at all. Jean-Baptiste Grenouille clings to life with an iron will, growing into a dark and sinister young man who, although he has no scent of his own, possesses an incomparable sense of smell. Never having known human kindness, Grenouille lives only to decipher the odors around him, the complex swirl of smells-ashes and leather, rancid cheese and fresh-baked bread-that is Paris. He apprentices himself to a perfumer, and quickly masters the ancient art of mixing flowers, herbs, and oils. Then one day he catches a faint whiff of something so exquisite he is determined to capture it. Obsessed, Grenouille follows the scent until he locates its source-a beautiful young virgin on the brink of womanhood. As his demented quest to create the "ultimate perfume" leads him to murder, we are caught up in a rising storm of terror until his final triumph explodes in all of its horrifying consequences. 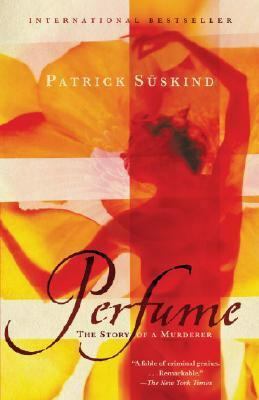 Told with dazzling narrative brilliance, Perfume is a hauntingly powerful tale of unnatural passion and sensual depravity.Süskind, Patrick is the author of 'Perfume The Story of a Murderer', published 2001 under ISBN 9780375725845 and ISBN 0375725849.